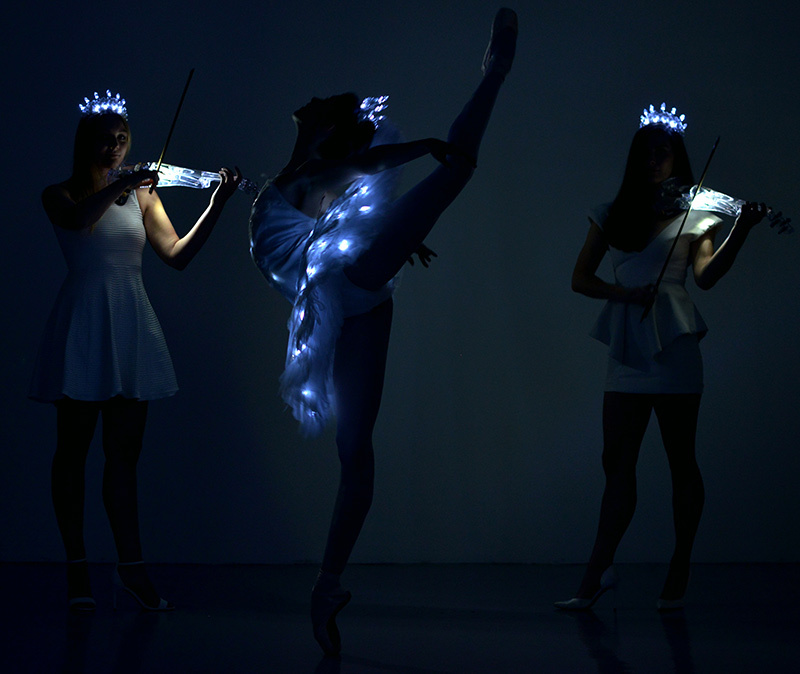 This London based Ballet company are the pioneers in ‘Ballerinas for events’. 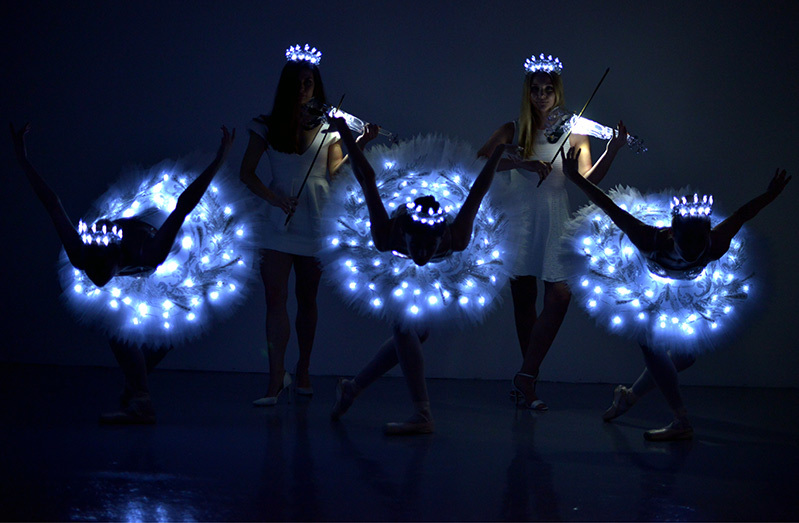 Our LED ballerinas and violinists absolutely love performing the stunning Swan Lake. The most popular of all our performances, this long standing classic is performed to the wonderful Tchaikovsky score. 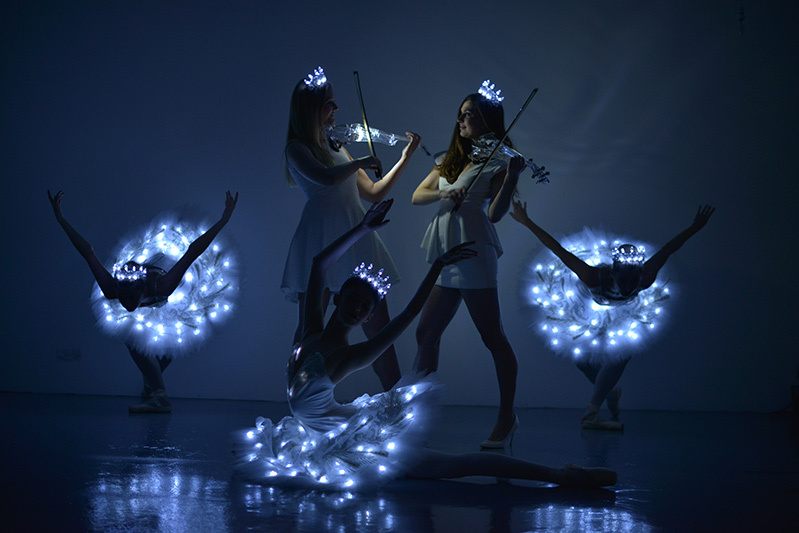 This wonderful act can be performed with either LED and non LED violins and tutus, creating either a Light up spectacle or a more traditional act depending on the event. 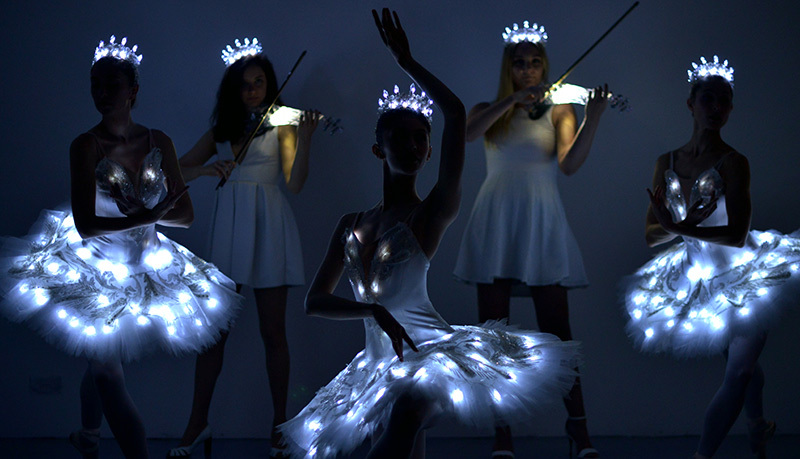 They are classically trained ballerinas with specialist technique in classical ballet and pointe work. 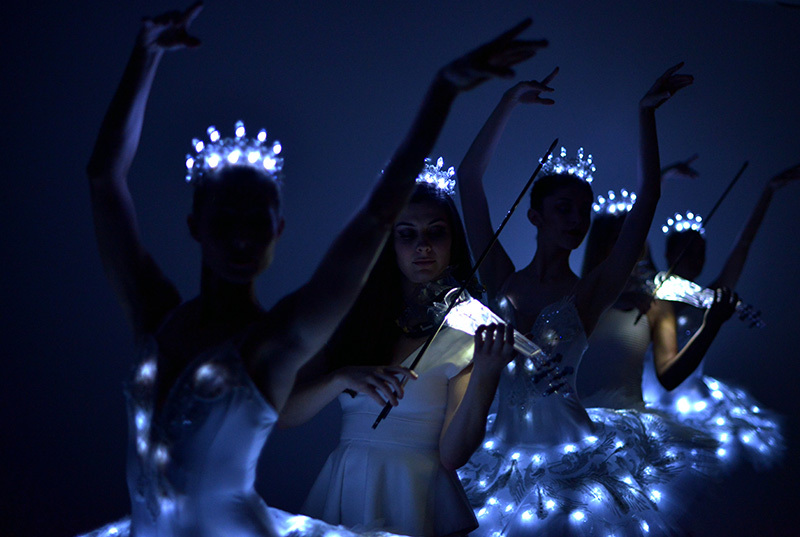 With experience performing with ballet companies such as The Kirov, Bolshoi and English National Ballet. 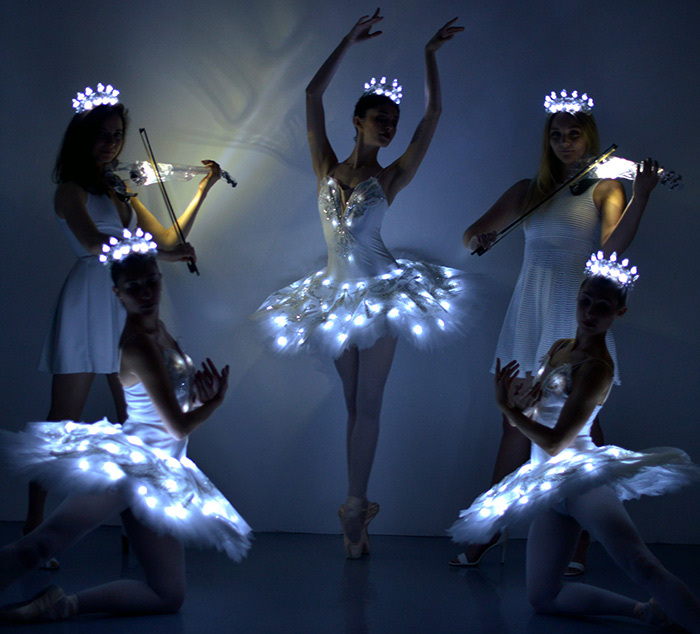 They create fully costumed, small and large scale ballet performances for events, parties, gala’s, weddings, PR launches and festivals. 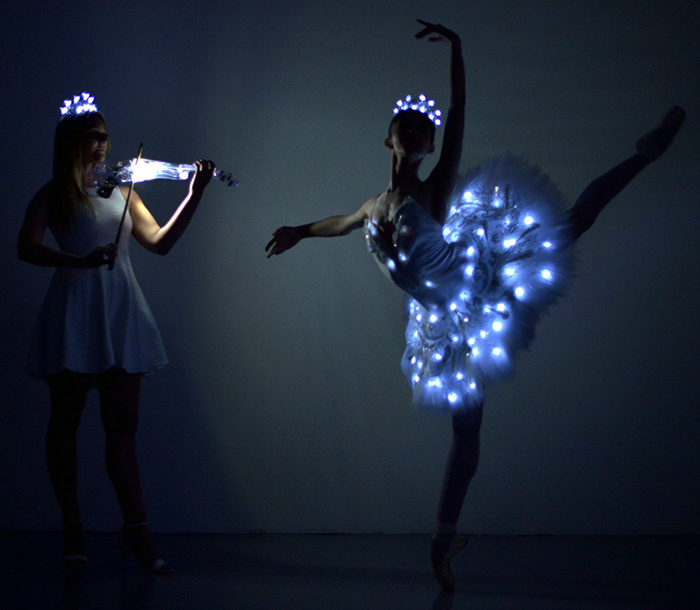 With a love of the classics but also a passion for creating new works, they can perform either excerpts from timeless classical ballet productions. 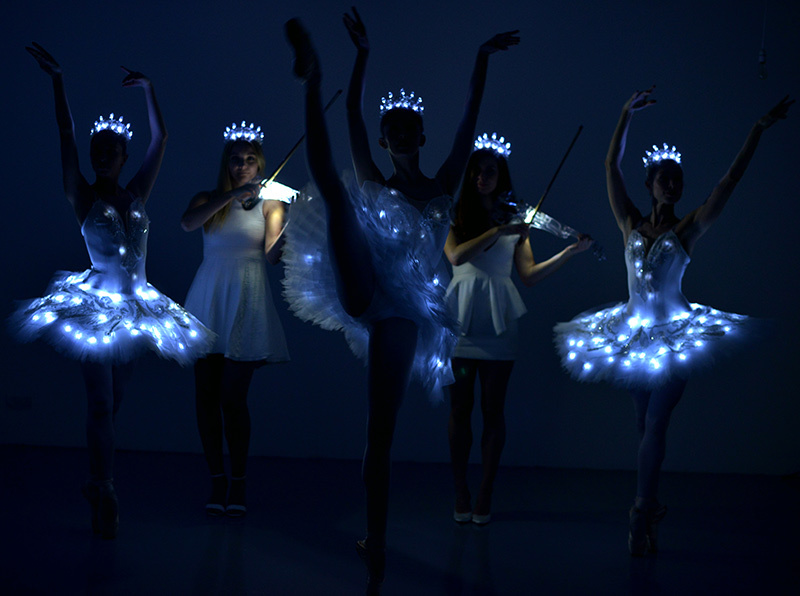 Such as “Swan Lake” and “The Nutcracker” or create bespoke performances which are specially created for your event. 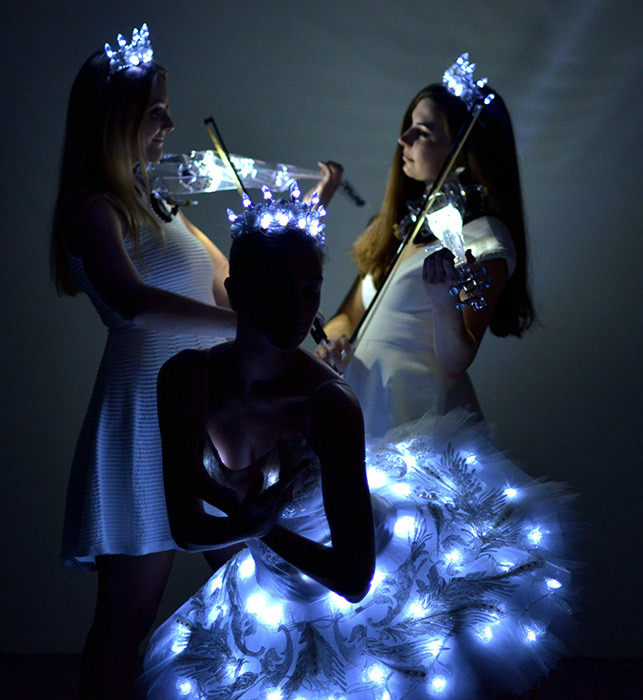 All choreographed pieces are carefully designed and beautifully costumed, to add a touch of glamour and magic to every performance. Thank you for being the star on the film!